Home>Music> Bhad Bhabie Exposes Trippie Redd's Texts: "But 6ix9ine The One Who Like Lil Girls"
Trippie Redd and Bhad Bhabie don't have the cleanest history of all time. The two fought over the past year, mostly regarding third parties like Tekashi 6ix9ine and XXXTentacion. Bhabie was vocal about how much she dislikes Trips, and it seems like nothing has changed. 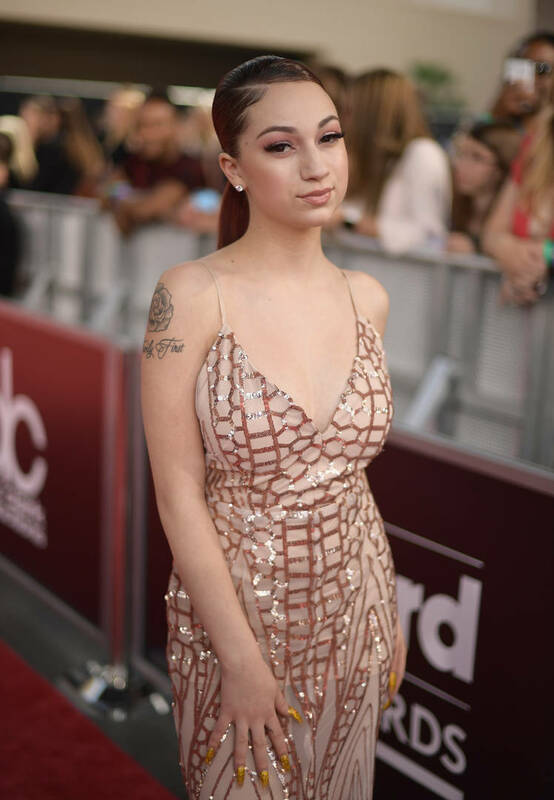 Since turning sixteen this week, social media star Danielle Bregoli has decided to put the Canton rapper on blast, by leaking private text message conversations between the two. You may recall the social media back-and-forth that 6ix9ine and Trippie Redd had last year. Trippie continued to bring up the Brooklynite's rough legal history, reminding the world that he was in a sexual video with an underage girl. Now, it seems as though everything has come full circle because Bhad Bhabie is accusing Trippie of being into similar stuff, exposing their text messages in an attempt to prove it to the world. The rapper blocked out the majority of their exchanges but she kept two that help her case immensely. Trippie messaged her to "come over," to which she replied that she would. Then, a trio of unknown messages was sent before Big 1400 clarified that she should "come alone." Her response to the proposition was cleared so we don't know what happened afterwards. However, it was enough for Bhabie to call out the red-haired artist for preying on "lil girls." "Oh but 69 the one who like lil girls," wrote the entertainer next to a few laughing emojis on her Instagram story. With more than half of the messages being illegible, this very well could have been taken out of context. It wouldn't be the first time a rapper has tried to get with Bhad Bhabie though, who is still underage. She's been rumored to have had flings with a handful of men, including NBA Youngboy. MUSIC Bhad Bhabie Exposes Trippie Redd's Texts: "But 6ix9ine The One Who Like Lil Girls"